The content of this article provides interesting history, facts and information via the Roman Empire Timeline. These major historical events are arranged in timelines of chronological, or date, order providing an actual sequence of past events and people of significance to the history of Rome in the Roman Empire Timeline. Many historical events occurred during times of crisis and such events led to disaster, causing much suffering and loss. Major incidents, people and events can be found in the Roman Empire Timeline. This Timeline of Ancient Rome provides fast facts and interesting information about the Roman Empire. Dissatisfaction with the Senate led to civil wars and the ultimate decline of the Roman Republic. The decline of the Roman Republic culminated in a brief dictatorship by Julius Caesar and the fall of the Roman Republic and the rise of the Roman Empire which was ruled by the all-powerful Emperors of Rome. Octavian, the adoptive son of Julius Caesar, was given the title 'Augustus' by the Roman Senate and became the first emperor of Rome. 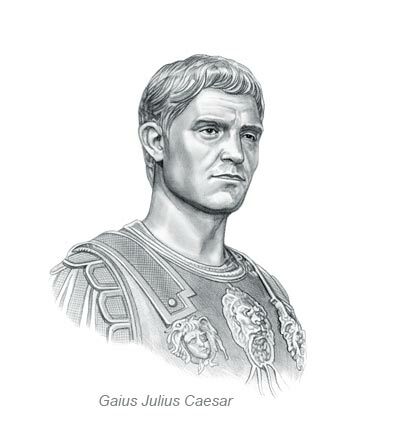 Names, dates, biographies and details of all of the Roman Emperors an be accessed via the Timeline of Roman Emperors. 235 - 284 AD: The Crisis of the Third Century was the period in Roman history of Military Anarchy which lasted over 50 years. Not one single Emperor died of natural causes during this time. Famous events of this period included revolts, civil wars, street fights, fierce foreign enemies, plagues, famines, fire and earthquakes. 238 - 268 AD: The "Barracks Emperors" were all military generals who seized power by force. Famous events of this period included many internal problems including high taxation, failing economy and Roman territories were being captured by barbarians and the Roman government was unstable. During this terrible period there were 19 usurpers, or pretenders, to the throne but this period is usually known as that of the 'Thirty Tyrants'. During this uncertain era and violent environment people started to turn towards a new religion of Christianity. 285 - 364 AD: The Constantinian dynasty - named after its most famous Emperor, Constantine the Great who instigates a policy of toleration towards the Christians. Constantinople is named the new capital of the Romans and the Roman Empire. 364 - 394 AD: The Valentinian dynasty derives its name from the first of the dynasty's Emperors - Valentinian I. The Empire is invaded by the fierce Barbarians the Visigoths ( Western Goths) and the Vandals. 4 September 476: The Western Roman Empire ended officially with the abdication of Romulus Augustus on 4 September 476 - The Fall of the Roman Empire. The content of this Roman Empire Timeline category on the weapons used by soldiers and gladiators in Ancient Rome provides free educational details, facts and information for reference and research for schools, colleges and homework. Refer to the Colosseum Sitemap for a comprehensive search on interesting different categories containing the history, facts and information about Ancient Rome.